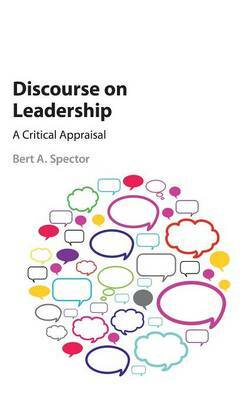 In a wide-ranging and provocative new study, Bert A. Spector provides a critical analysis of past and present theories of leadership. Spector asserts that our perception of leadership influences who we vote for, who we hire and promote, and ultimately, who we choose to grant our authority to. Focusing on leadership in discourse, the book sets out to explore how the notion of leadership has been articulated, studied and debated by academics, but also by practitioners, journalists, and others who seek to influence the thoughts of others. Paying particular attention to the social, economic, political, intellectual and historical forces that have helped shape the discussion, Discourse on Leadership offers an insightful historiography of leadership as a concept and considers how our understanding of it continues to evolve.